Prior to the opening of Berkeley Dance Project 2019, join TDPS for a panel discussion about the dance program's 50-year history at UC Berkeley. After graduating from Sarah Lawrence College in 1958, Marni Thomas Wood joined the Martha Graham Dance Company, toured and performed with the Company, taught at the Graham School, and was privileged to be part of the first generation of women to perform Ms. Grahams own roles as Graham began choosing successors for her earlier repertory reconstructions. In 1968, with her husband/partner David Wood, and their three children, Ms. Thomas Wood relocated to establish the dance major at the University of California Berkeley. In addition to choreographing, teaching, and administrating for the dance program, she served as Chair of the Department of Dramatic Art, Chairman of the Chancellors Advisory Committee on the Arts, and received three Isadora Duncan Awards for her contribution to the professional dance scene in the San Francisco Bay Area. Throughout her California years, she sustained an ongoing relationship with the Graham organization, and, upon retirement from the university, Ms. Thomas Wood returned to New York to serve as director of the Martha Graham School of Contemporary Dance from 2003 through 2006. Currently, she serves as a consultant and rehearsal coach for the Graham Company, and is a faculty member of the Martha Graham School. Joe Goode (Professor, UC Berkeley) is Artistic Director of Joe Goode Performance Group with whom he has performed in the U.S., Canada, Africa, South America, and the Middle East. His performance installations have been commissioned by the Krannert Art Museum, the M. H. DeYoung Museum, Capp Street Project, and The Fowler Museum of Cultural History, UCLA. Awarded a New York Dance and Performance Award (Bessie) for his production of Deeply There, he has also received the Isadora Duncan Award for choreography, fellowships from the National Endowment for the Arts, the California Arts Council, and the Irvine Fellowship in Dance. He is the recipient of the 2007 John Simon Guggenheim Fellowship for Choreography and the USA Artists Fellowship for Choreography in 2008. He has been honored with awards for excellence by the American Council on the Arts, the Business Arts Council/San Francisco Chamber of Commerce, and the California Dance Educators Association. In addition to the more than 50 new works for his own company, Goodes work has been commissioned by dance companies across America. His play, Body Familiar, was commissioned by the Magic Theatre San Francisco and premiered there in 2003. 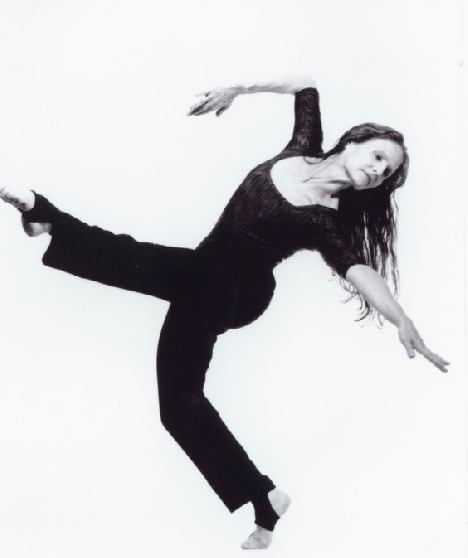 Wendy Rogers (Professor Emerita, UC Riverside) has choreographed and performed contemporary dances for over forty years, residing in the San Francisco Bay Area, New York City and now in Riverside, California where she joined the University of California dance faculty in 1996. She has worked in projects produced by choreographers Margaret Jenkins, Carolyn Brown, Sara Rudner; composers John Luther Adams, Paul Dresher; and in one instance on the moon of Endor, filmmaker George Lucas. The Wendy Rogers Dance Company (1977-90), and subsequent ten-year projects MAKESHIFT dancing and WENDY ROGERS dancing, toured nationally and internationally. In her multi-year projects, dances focused by singular concepts evolve and morph into specific performances allied to occasion and place. She has received Fellowships from the Foundation for Contemporary Arts, the Irvine Fellowship in Dance, the John Simon Guggenheim Foundation, and the National Endowment for the Arts, as well as a 2009 Fulbright Fellowship in Malaysia. Rogers current project See What Happens (2011- ) rekindles past dancing and artistic relationships through REPO  the recovering and altering of histories at play in the making of new work.